Dear citizens of the neighbouring country, Pakistan, we love you; we love your cricket team even more. From where I come from, my love for your country and its cricket team is often dealt with punishments. Sometimes expulsion from the universities, sometimes jail, sometimes tear-gas and sometimes even death. My people’s love for you unexplainable. When someone from the outside asks us questions like “Why do you love Pakistan?”, we just say it is in our blood. Our immense love for you needs no reasons or explanations. Today, you are celebrating 70 years of your independence as a nation. Congratulations. 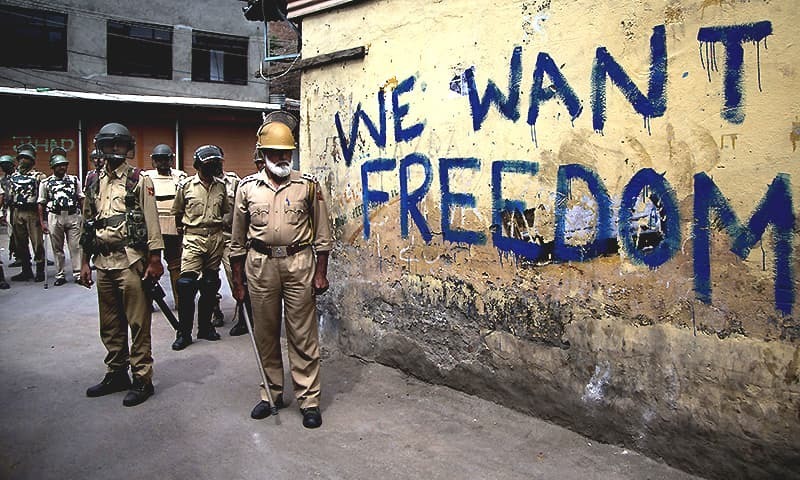 Who better than us Kashmiris would know the meaning of freedom. Here, an occupation survives at the gun point and oppression is the order of the day. Your brave forefathers, leaving their homes with nothing except a million hopes, traversed hundreds of miles looking for a piece of land to live with pride and dignity. Today, 70 years later, the same piece of land is looking for similar passion in its dwellers. It is there, just that this beast needs to be woken up. All these years, we hope that your belief in freedom and independence has only grown stronger by the day. Speaking about my Kashmir’s love for your country, there is something you all need to understand. Our love for you is more often than not mistaken as a verdict of the plebiscite. I am afraid, it is not necessarily the same. It is much more complicated than that. Your media, as if trying to outsmart its Indian counterpart in their stupidity, often portrays a very poor image of Kashmir and our people. Poor, literally. This has resulted in an infectious public opinion that Kashmiris deserve more monetary help than moral support and solidarity. On social media (last eid), I happened to come across several posts claiming to collect Qurbani skins and meat for ‘mazloom Kashmiris‘, whether genuine or not is a different question. But we are not dying of hunger here. Your media even plays with our numbers, as if one death is not enough to have our hearts splintered into a million pieces, they raise the numbers as per their will. We aren’t just numbers, like beads on a string, who fall randomly while the world watches. Here, every bead counts. Every bead leaves behind wailing mothers and orphaned children. Raising the numbers might serve the TRPs but it does no good. Reporting on Kashmir is always appreciated considering the lack of ground reporting for the channels, but it is not so difficult to recheck the figures. Only last month, the Prime Minister of Azad Jammu & Kashmir, a province in your country and a part of the disputed territory, spoke against the decision to sack Nawaz Sharif. The statement, in which he talked about the right of the state’s people to decide their political destiny, naturally came because both were members of the PML-N party and AJK Prime Minister owes allegiance to the corrupt PM, Nawaz. Whether Haider’s reactionary statement (which he clarified later) was a wise one or not is debatable. 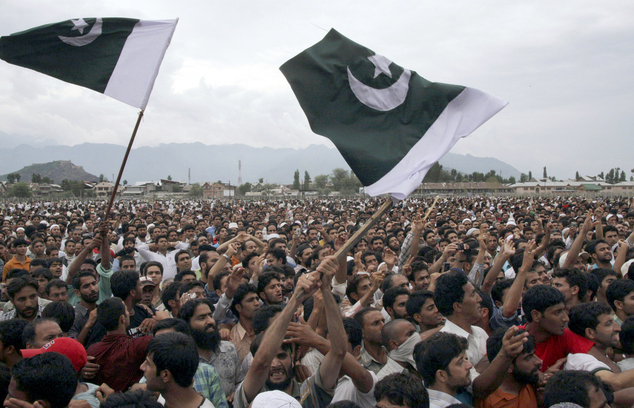 The fact that it kicked-off a strong anti-Kashmir campaign in Pakistan’s political discourse is deploring. Haider’s remarks became the main headline of the Pakistan media and politicians cutting across party lines called for his dismissal besides his trial on charges of treason. Somehow, the media forgot that a sitting Prime Minister had been removed from office. On the social media, supporters of various political parties hurled abuses on Haider and also the people of Kashmir. People on this side of Kashmir are used to being on the receiving end of all the hurling of abuses, etc at the hands of Indians; but we believed our brethren on the other side of the border lived different lives. Although this in no way means they are oppressed or denied the basic human rights, but the fact that shrinking freedom of speech and opinions about a ‘Free (Azad) Kashmir’ are discouraged and met with atrocious reactions really disheartens us. This bit of news was very relatable to this side of Kashmir where puppet politicians have to pledge sovereignty of the Indian state and endorse that Kashmir (including AJK is an integral part of India), even after which are looked with suspicion by their masters in New Delhi. Coming back to our love for Pakistan. It was 18th of June, 2017. The number of praying men decreased with every wicket that Pakistan grabbed against India; and the hustle on the streets increased as people burst cracakers only to burst more as Pakistan’s victory was nearing. All of us were full of joy, some of us let down trickles of tears too. This is our love for you. Braving the Indian occupation and its solideirs who were at a stone’s throw from us, we danced and lit crackers as their team lost and ours, won. 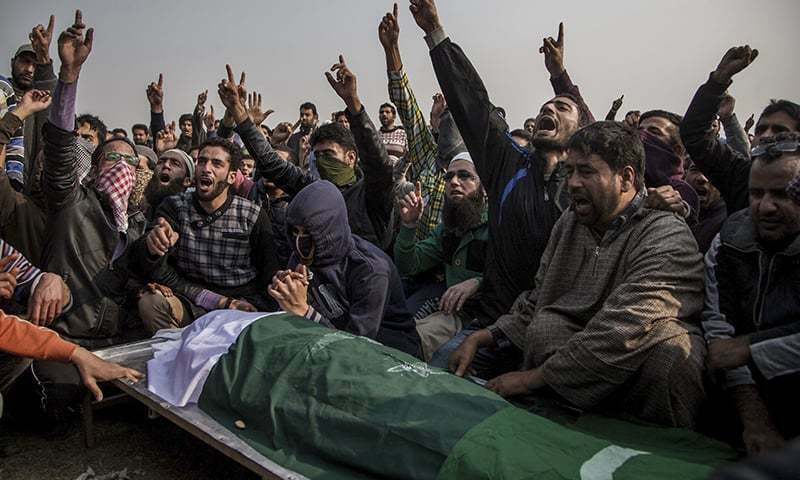 Our martyrs are draped in greens amid slogans of ‘Azaadi’ and we are proud of both. Our love for your place as well as our firm resolve for ‘Freedom’. We need your love and solidarity too, and that’s just about it. Money, Qurbani skins and the meat need to reach the needy which can be just a couple of blocks away from you. May your country grow into a more prosperous one, may your next Indepence Day be more delightful than the previous and may all your worries as a nation end. May we celebrate our Indepence Day soon. Your lover from an oppressed land, Kashmir.